From Easter egg traditions to chocolate bunnies to family gatherings, Easter is a major holiday for Christians all over the world. But despite the common ground at the center of the celebrations — Jesus rising from the dead on the third day after his crucifixion, death, and burial — not everyone around the world celebrates the holiday in the same way or with the same traditions. These seven unique Easter celebrations around the world will intrigue and maybe even inspire you to attend one. Be careful where you walk in Poland on Śmigus-dyngus (Easter Monday): You may be assailed with buckets, balloons, and pistols filled with water. Wear waterproof clothing or be prepared to get soaked. It’s believed the tradition dates back to fertility rituals, but today the holiday is just an excuse for the young and young-at-heart to join in a country-wide water fight. The Polish community of Cleveland, Ohio, also celebrates Dyngus Day with food, polka music, beer, and an evening parade with a pierogi float. The Easter Festival in Antigua, Guatemala, is the largest Easter celebration in the world. 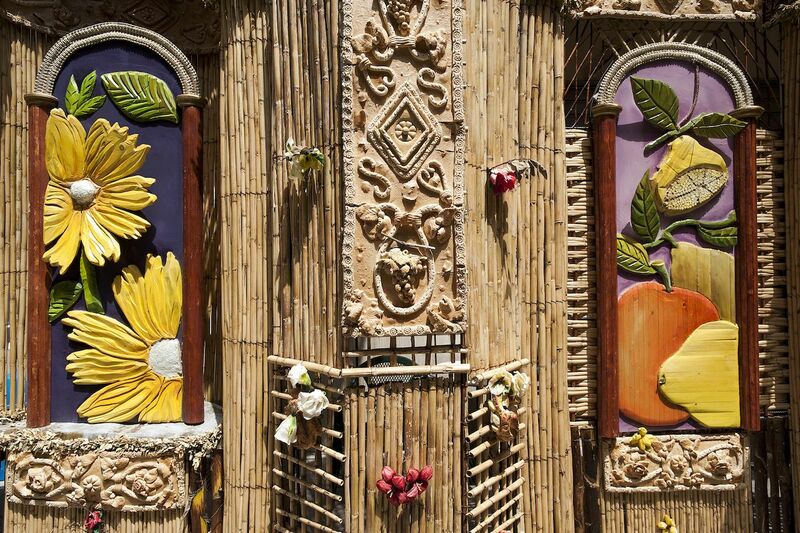 It’s a week-long celebration during which the community commemorates the passion and crucifixion of Jesus by conducting somber processional marches, carrying floats with large sculptures of Jesus and Mary. Sand and colored sawdust are painstakingly designed and laid in the streets in intricate patterns for the march to proceed over. On Easter Sunday, the city joyously celebrates the resurrection of Jesus with fireworks and the solemnity of the Lenten season is over. Norway celebrates Easter in a very unusual way: by reading and watching stories about crime (påskekrims). This “Easter crime” tradition is unique to Norwegians, as no other country around the world celebrates the sacred holiday by obsessing over mysteries, murders, and violence. 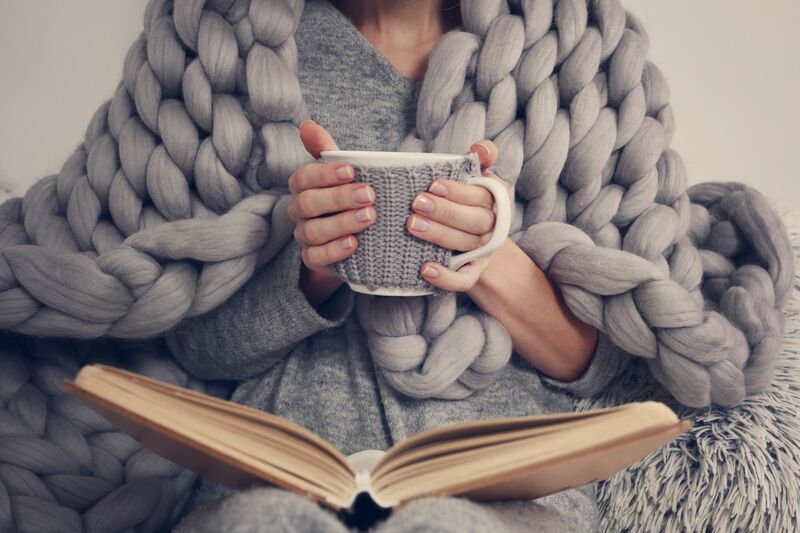 Perhaps it’s because the holiday days off make the perfect excuse to sit down and cozy up with a good book while the snowy winter continues on outside, but regardless of the reason, you’ll see more crime novels displayed in bookshop windows than chocolate bunnies and Easter scenes if you visit Norway around Easter time. Over 80 percent of the population of Greece belongs to the Eastern Orthodox Church. Accordingly, Easter holidays are sacred and celebrated with great devotion and fanfare, but differ in scope and tradition all over the country. 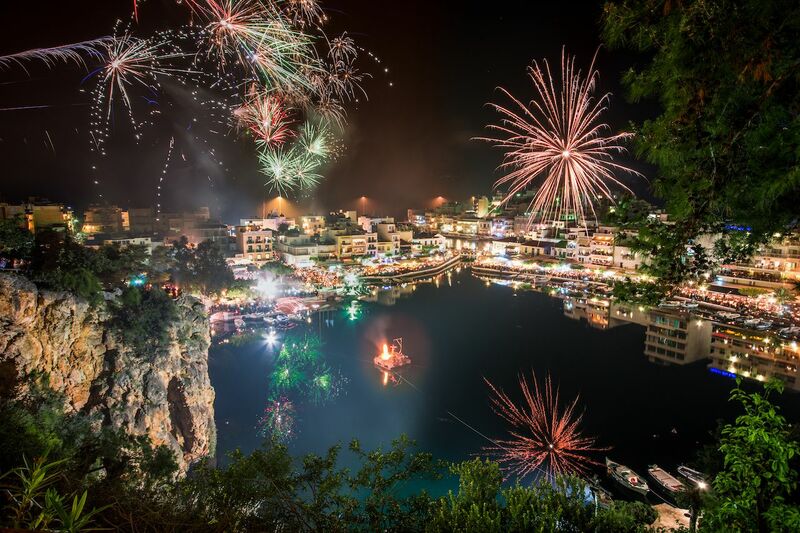 On the island of Spetses, for example, fireworks are set off from churches all over the island to mark the turn of midnight on the night of the resurrection, as Easter Saturday turns to Easter Sunday. (Fireworks are a common way for Orthodox Christians to celebrate, especially in Greece, but they’re usually set off on Easter Sunday.) Then, in the afternoon, the people conduct the “Burning of Judas” in the main square in Kounoupitsa. On the island of Folegandros, the emphasis is on the Virgin Mary, and people clean and wash their homes in preparation for the passing of an icon of the Virgin Mary. Easter on the island of Bermuda is a colorful affair. People all over the island head out to fly vibrantly decorated homemade kites together, creating a beautiful display. In addition, the traditional foods of codfish cakes and hot cross buns are consumed to mark the holiday, usually after attending a sunrise Easter service on the water. 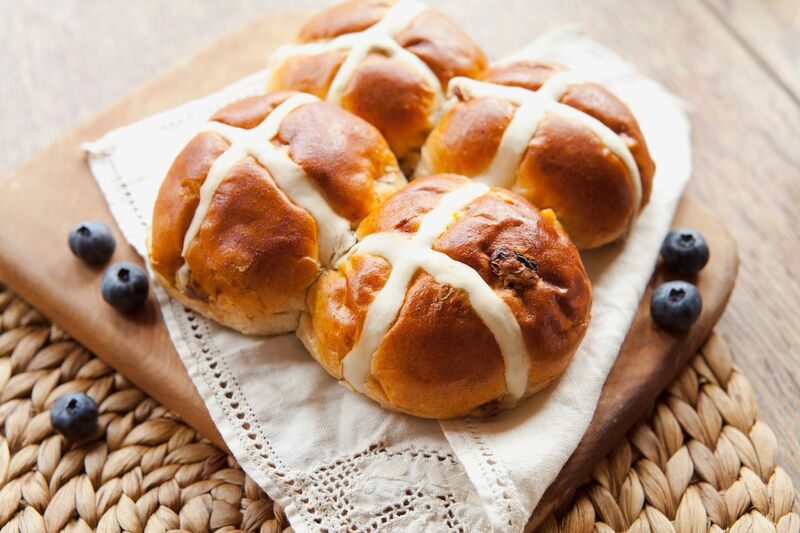 Don’t plan to skip out on the bready treat: Bermudians used to have a superstition that if you didn’t eat a hot cross bun on Good Friday, your house would burn down. 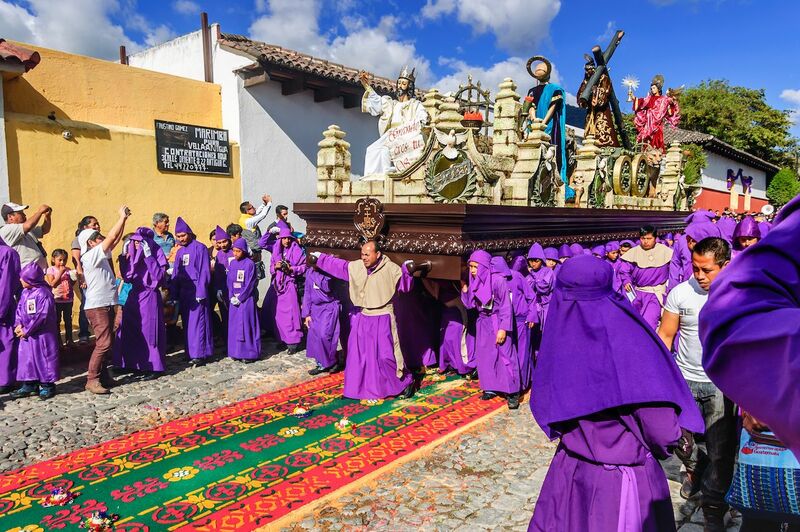 During Semana Santa (“Holy Week”) in Spain, a variety of festivities and traditions take place in provinces all over the country. 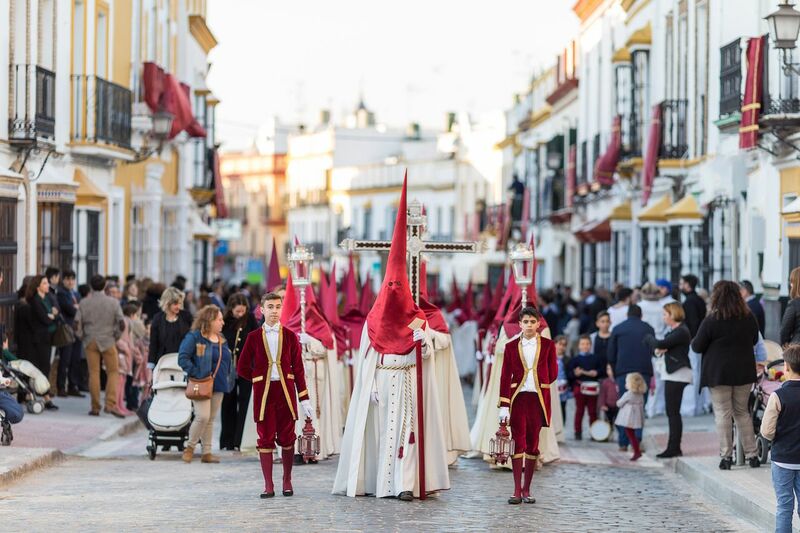 Perhaps the most elaborate, however, takes place in Andalusia, where the week leading up to Easter is alive with color, parades, and religious fervor. This fervor is most notably demonstrated in the somber processions; sometimes these are flanked by penitents dressed in long robes and tall, pointed hoods (symbol of religious penitence), and sometimes this means floats with statues and other depictions of dramatic Biblical scenes, carried on the backs and shoulders of men and women of faith. Easter festivities take place all over Italy, a country with deep religious roots and major historical significance in the Christian realm. Perhaps the most unique, however, takes place in Sicily. In San Biagio Platani, you’ll find a tradition called archi di pasqua — the bread arches of Easter — in which the citizens decorate the town’s main street with gigantic and elaborate archways, domes, bell towers, and other structures made of natural elements like breads, willow, fennel, asparagus, bay leaf, cereals, river reeds, rosemary, dates, and more to mimic the feel of the inside of a cathedral. If carbs aren’t your thing, you can celebrate a gluten-free Easter by attending mass at the Vatican, led by the Pope himself. Tickets are free, but you’ll need to request them in advance (and pray you get approval).